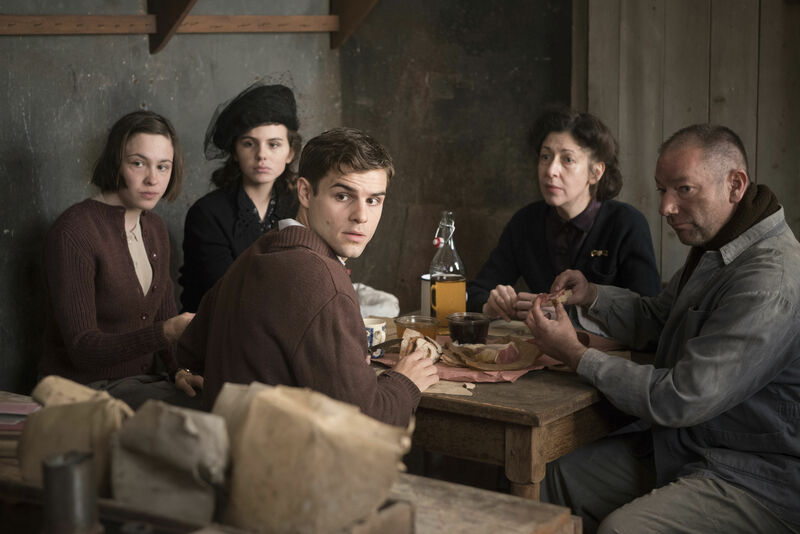 We've rarely, if ever, seen the Holocaust from this unique perspective or portrayed in this seldom-used style; The Invisibles shares with us a story that's not exactly unknown, but nonetheless important, and presented in a way that will get our attention anew. Hollywood often brings us tales of WWII, of battles against the Nazis, of concentration camps, of holding onto humanity during a time of madness. But we seldom see the war from inside Germany, and especially not from the Jews who lived there when their very existence was illegal. This is their story, four young Berliners who refused to leave their homes to be shipped to the death camps, daring to hide in plain sight instead, surviving hell against unbelievable odds. German Jews were rounded up in stages, and these steps toward annihilation came so often and so orderly that it was simpler to believe that no harm was coming in the end, rather than dread each new day and each new subjugation. Even at the end, when the last Jews in Berlin were being moved out of the city into the country toward work camps, hope remained that perhaps the rumors weren't true, perhaps the end of the war was near, perhaps families could survive if they just stuck together, kept their heads down, and worked hard. But deep down there was an unavoidable knowledge that boarding the trains peacefully was still a death sentence, and while parents truly knew that their lives were over, they also believed that their children must live on, no matter how painful the separation and no matter high the suffering in hiding. 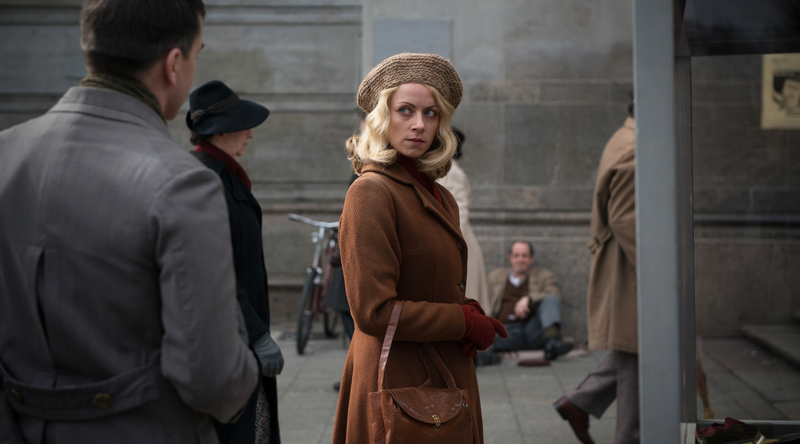 Because that was the plan for thousands of Jews, especially the young; to hide in Berlin, often in plain sight, until the war was over, despite the danger and the almost certain future of being found. This was a risk worth attempting, understanding the fate that awaited them if they allowed themselves to be marked, catalogued, and sent away. So they hid, or assumed false identities, or forged papers, and lived as they could for the final years of the war. Cioma moved from home to home, pretending to be a bombing victim. Hanni dyed her hair blonde, and went by a different name. Eugen wore a soldier's uniform so he could walk the streets of Berlin. And Ruth became a maid for a family who didn't want to know her background. They did what they had to, lived how they had to, anything to survive another day, with the hope of seeing their families once again a driving force that kept them alive and fighting. So many things impressed me about this film, so many little details came together to create such a moving story, one I won't quickly forget. We've seen these tales so often, they are so compelling, and we never grow tired, shouldn't grow tired, because we never want to allow this history to repeat, this scar upon the face of humanity that we will all have to live with for the remainder of our life as a species. The Holocaust was an unparalleled evil, and movies like these help us to remember our responsibility to each other were anything like this to ever happen again. The Invisibles is another reminder of the past, this time from a new perspective, and for that it deserves all the credit in the world, not for simply choosing this subject matter, but for delivering it in a way that will make the largest impact possible. 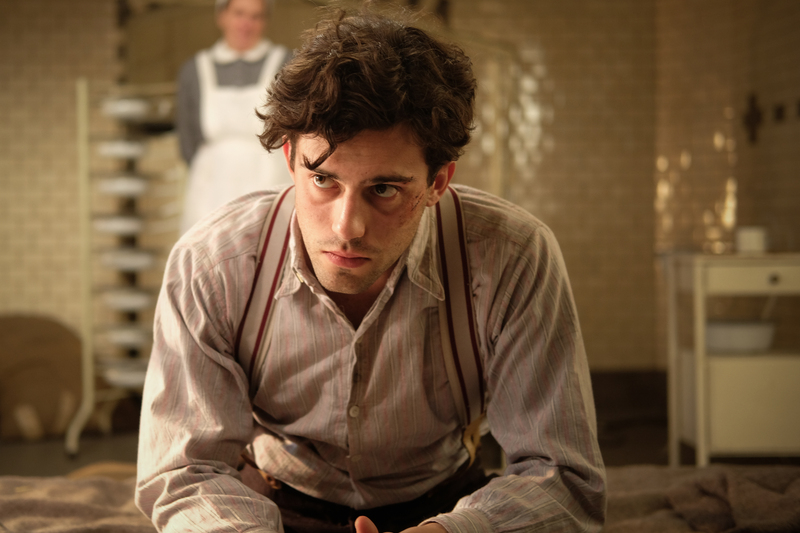 What's unique about the film is two-fold: it's a story told from the perspective of young Jews hiding within Berlin for the duration of the war, and it's also told through a docudrama style, mixing acting with interviews in seamless loops until audiences are both immersed in the era and touched by the personal connections we make with the victims. These four young people that are the focus of the tale lived, told their stories, and are on camera with emotions bared, ready to tell us all they know, so that then we can know too, we can understand. Meanwhile there's a dramatic element, and that only enlivens the vision, fleshes out the action, and brings it all vividly to life. I loved the style of the film, it was the perfect vehicle, and I could have listened to these first-hand accounts all day. What amazed me most was the amount of resistance these young people took part in, all while trying to lay as low as possible; they rebelled against evil rather than hide quietly, when it would have been much easier to protect their own lives, even turn informant, rather than struggle from within against the Nazi machine. Audiences will be blown away by the true events depicted here, and by the way the entire crew was able to share it with us in way we may not be emotionally prepared to accept, but are so willing to hear, if only so that we can tell our own children and hopefully see that this evil never returns to the world again. Video: With an aspect ratio of 2.35:1 (16x9), the video quality of the DVD was exceptional, with an eye toward costume and time period that instantly takes audiences into the story. The film feels very personal; there aren't sweeping cinematic shots, and much of the movie is done in interview, but the picture holds its own while the narrative is being presented, especially when it comes to accuracy and the depiction of the times. Audio: The DVD was done in German, with an option between 5.1 Surround and 2.0 Stereo. Subtitles are available in English. The music of the film is quiet nice, the dialogue is balanced, and the audio pulls its weight, while also not being a large focal point. Extras: The only special feature is a trailer for the movie. Highly Recommended. The Invisibles is our opportunity to witness triumph in the face of tragedy. The events these young people endured, and lived to tell us about, are inexplicably awful, but their survival gives us all a chance to understand the Holocaust all the more deeply, to be inside the Nazi capitol even after it was declared to be free of all Jews. It never was, evil didn't win, and now we have first-hand accounts of what happened internally, how survivors kept fighting and rebelling and living, despite a nation's attempts to silence them. This story is important and it touched me, and I hope it can speak to you as well, because it's worth listening to. The video and audio support the plot and make it a good film as well as an impacting drama, while at the same time there aren't many special features, so the technical side is mostly strong, while also not being what we need to remember this movie for. History should never die, not even terrible history, it is the key to our understanding, and filmmakers are part of the team attempting to keep it alive; let's support those willing to dive deep into our past, even into the darkest parts, so that we can hopefully see the light.